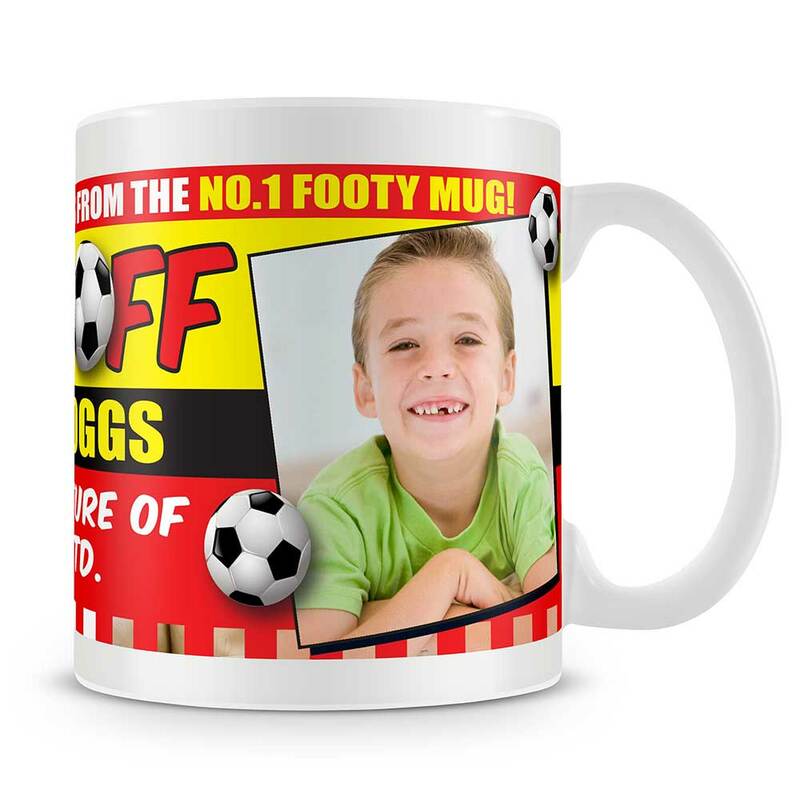 A fun personalised football mug ideal for any aspiring footy fan, young or old and for any occasion. It makes a fantastic gift and enjoyed everytime they enjoy a cuppa! 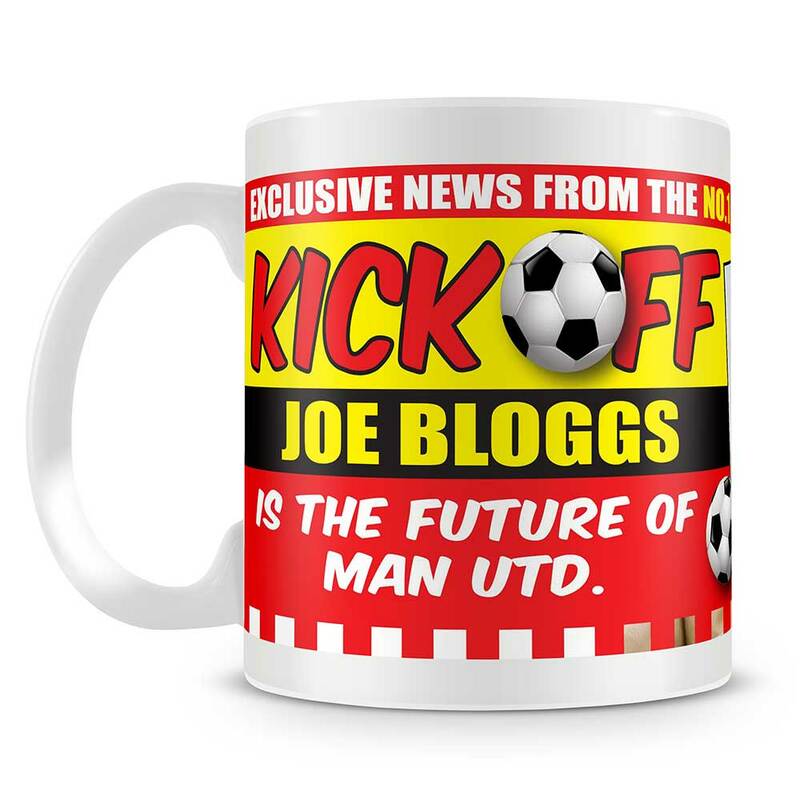 This mug is personalised with their name, shirt number (often their age), team and a two-lined message.